For other uses, see Jeeves (disambiguation). Reginald Jeeves, usually referred to as just Jeeves, is a fictional character in a series of comedic short stories and novels by English author P. G. Wodehouse. Jeeves is the highly competent valet of a wealthy and idle young Londoner named Bertie Wooster. First appearing in print in 1915, Jeeves continued to feature in Wodehouse's work until his last completed novel Aunts Aren't Gentlemen in 1974, a span of 60 years. Both the name "Jeeves" and the character of Jeeves have come to be thought of as the quintessential name and nature of a valet or butler, inspiring many similar characters (as well as the name of the Internet search engine Ask Jeeves, now simply called Ask.com). A "Jeeves" is now a generic term as validated by its entry in the Oxford English Dictionary. Jeeves is a valet, not a butler; that is, he is responsible for serving an individual, whereas a butler is responsible for a household and manages other servants. On rare occasions he fills in for someone else's butler. According to Bertie Wooster, he "can buttle with the best of them." An early prototype for Bertie Wooster is Reggie Pepper, who was very much like Bertie Wooster but without Jeeves, though it was Jeeves who ultimately took the name "Reggie". A valet called Jevons appears in Wodehouse's 1914 short story "Creatures of Impulse", and may have been an early prototype for Jeeves. Like Jeeves, Jevons is described as the perfect valet. "Creatures of Impulse" appeared in The Strand Magazine, and was not republished in any collection, though some parts went into the making of "The Crime Wave at Blandings". In his 1953 semi-autobiographical book written with Guy Bolton, Bring on the Girls!, Wodehouse suggested that the Jeeves character was inspired by an actual butler named Eugene Robinson whom Wodehouse employed for research purposes. Wodehouse described Robinson as a "walking Encylopaedia Britannica". However, Robinson worked at Wodehouse's house in Norfolk Street where Wodehouse did not live until 1927, long after Jeeves had been created. Wodehouse named his Jeeves after Percy Jeeves (1888–1916), a popular English cricketer for Warwickshire. Wodehouse witnessed Percy Jeeves bowling at Cheltenham Cricket Festival in 1913. Percy Jeeves was killed at the Battle of the Somme during the attack on High Wood in July 1916, less than a year after the first appearance of the Wodehouse character who would make his name a household word. Little is known about Jeeves's early life. According to Jeeves, he was privately educated, and his mother thought him intelligent. Jeeves has an uncle, Charlie Silversmith, who is butler at Deverill Hall. Silversmith dandled Jeeves on his knee frequently when Jeeves was very young, and when Jeeves is an adult, they write regularly to each other. Charlie Silversmith's daughter Queenie Silversmith is Jeeves's cousin. Jeeves also mentions his late uncle Cyril in Right Ho, Jeeves. His niece Mabel is engaged to Bertie Wooster's friend Charles "Biffy" Biffen. His cousin Egbert is a constable and plays a role in the short story "Without the Option". Jeeves has three placid aunts, in contrast to Bertie Wooster's aunts. Aunt Emily is interested in psychical research, and another aunt, Mrs. Pigott, owns a cat in Maiden Eggesford; this cat plays a major role in Aunts Aren't Gentlemen. Jeeves occasionally references an aunt without naming her, including an aunt who read Oliver Wendell Holmes to him when he was young. In Right Ho, Jeeves, he references his Aunt Annie, though she was widely disliked. In his youth, Jeeves worked as a page boy at a girls' school. He apparently served in the military to some extent in World War I. In the play Come On, Jeeves, Jeeves states that he was a batman. Shortly before entering Bertie's service, Jeeves was employed by Lord Frederick Ranelagh, who was swindled in Monte Carlo. Jeeves previously worked for Lord Worplesdon, resigning after nearly a year because of Worplesdon's eccentric choice of evening dress. Jeeves later helps Lord Worplesdon in Joy in the Morning. Other former employers include Mr Digby Thistleton (later Lord Bridgnorth), who sold hair tonic; Mr Montague-Todd, a financier who is in the second year of a prison term when Jeeves mentions him; and Lord Brancaster, who gave port-soaked seedcake to his pet parrot. Jeeves becomes Bertie Wooster's valet. However, his tenure with Bertie Wooster has occasional lapses during the stories; at these times, Jeeves finds work elsewhere. Jeeves works for Lord Chuffnell for a week in Thank You, Jeeves, after giving notice because of Bertie Wooster's unwillingness to give up the banjolele, and is briefly employed by J. Washburn Stoker in the same novel. He serves as substitute butler for Bertie's Aunt Dahlia in Stiff Upper Lip, Jeeves, and later in the same story, he enters Sir Watkyn Bassett's employment for a short time as a trick to get Bertie Wooster released from prison. Jeeves is Lord Rowcester's butler for the length of Ring for Jeeves. While working for Bertie Wooster, he occasionally pretends to be the valet of one of Bertie's friends as part of some scheme, though he is still actually Bertie's valet. He pretends to be the valet of Bicky Bickersteth in "Jeeves and the Hard-boiled Egg", Rocky Todd in "The Aunt and the Sluggard", and Gussie Fink-Nottle when Gussie masquerades as Bertie Wooster in The Mating Season. Jeeves acts as a bookmaker's clerk in Ring for Jeeves, disguising himself for the role with a check suit and walrus moustache. In Wodehouse's play Come On, Jeeves, which has mostly the same plot as Ring for Jeeves, it is mentioned that Jeeves changed his appearance as a bookmaker's clerk, though in the play, Jeeves also impersonates a medieval ghost named Lady Agatha, wearing makeup and women's medieval clothing to complete the disguise. He pretends to be a broker's man in "Jeeves and the Greasy Bird" and Bertie's solicitor in Aunts Aren't Gentlemen. In one instance, he pretends to be Bertie Wooster in a telephone conversation with playwright Percy Gorringe. In Stiff Upper Lip, Jeeves, he assumes an alias, calling himself Chief Inspector Witherspoon of Scotland Yard. This alias is also mentioned in Aunts Aren't Gentlemen. Jeeves is a member of the Junior Ganymede Club, a London club for butlers and valets. Jeeves is first hired by Bertie in "Jeeves Takes Charge". In this short story, Bertie briefly fires Jeeves after Jeeves, who believes that Bertie would not be happy with his fiancée Florence Craye, takes steps to end Bertie's engagement to her. Bertie quickly rehires Jeeves after realizing that Jeeves was right. Thereafter, Jeeves lives with Bertie, usually in their London residence at Berkeley Mansions. Over the course of the short stories and novels, Jeeves helps Bertie, frequently extricating him from unwanted engagements, and also assists Bertie's friends and relatives with various dilemmas. Jeeves often has another motive, such as disposing of an item recently acquired by Bertie that Jeeves does not like, for example a bright scarlet cummerbund. He sometimes receives a monetary reward from Bertie and other people he helps in early stories, though this does not occur in later stories. Bertie and Jeeves experience a variety of adventures in numerous short stories and novels. Aside from changes in his employment status, some events occur that are particularly noteworthy for Jeeves. Jeeves gets engaged twice in "Jeeves in the Springtime", though he never references these fiancées afterward, and it appears that he does not become engaged again. In the only story Jeeves narrates, "Bertie Changes His Mind", he opposes Bertie's decision to live with his nieces. Jeeves and Bertie visit Deverill Hall, where Jeeves's Uncle Charlie is employed as butler, in The Mating Season. While away on his vacation in Jeeves in the Offing, Jeeves is persuaded by a friend to judge a seaside bathing belle contest. Jeeves's first name was not revealed until the penultimate novel, Much Obliged, Jeeves. Bertie Wooster learns Jeeves's name when he hears another valet greet Jeeves with "Hullo, Reggie." The readers may have been surprised to learn Jeeves's first name, but Bertie was stunned by the revelation "that he had a first name" in the first place. In the club book of Jeeves's club, the Junior Ganymede, all members must record the foibles of their employers to forewarn other butlers and valets. Bertie wants Jeeves to destroy his section. Jeeves is initially reluctant to defy his club's rules, but he eventually does destroy the pages for Bertie by the end of Much Obliged, Jeeves. Jeeves last appears in Aunts Aren't Gentlemen, in which Jeeves and Bertie head to the rural village of Maiden Eggesford, though Jeeves wants to go to New York. He and Bertie visit New York at the end of the story. The novel Ring for Jeeves was published earlier, though it is set after World War II, presumably after the other stories. Jeeves temporarily works as Lord Rowcester's butler while Bertie is sent to a school where the idle rich learn to fend for themselves. This is the only story in which Jeeves appears without Bertie Wooster. The novel was adapted from Wodehouse's play Come On, Jeeves. While Bertie Wooster is 24 years old in "Jeeves Takes Charge" (1916), Jeeves's age is not stated in the stories, and has been interpreted differently by various illustrators and adaptations. However, there are a few hints in the books regarding Jeeves's age. Jeeves has a long employment history, and he is older than Bertie Wooster. On the other hand, Jeeves is young enough to be engaged to a waitress courted by Bingo Little, who is the same age as Bertie Wooster, in "Jeeves in the Springtime". In Ring for Jeeves, a novel set in a later time period than the other books, Jeeves is described as resembling "a youngish High Priest of a refined and dignified religion". Keggs in A Damsel in Distress is supposed to be the same man who appears in The Butler Did It, but does it pan out all right? It doesn't if you go by when the books were written. The Damsel was published in 1919 and the Butler in 1957. But I always ignore real life time. After all, Jeeves—first heard of at the age presumably of about thirty-five in 1916—would now be around eighty-five, counting the real years. In appearance, Jeeves is described as "tall and dark and impressive". On multiple occasions, Bertie states that Jeeves has "finely chiselled features", and a large head, which seems to Bertie to indicate intelligence. As Bertie says, Jeeves is "a godlike man in a bowler hat with grave, finely chiselled features and a head that stuck out at the back, indicating great brain power". Bertie also describes Jeeves's eyes as gleaming with intelligence. Bertie frequently describes Jeeves as having a "feudal spirit". Jeeves aims to be helpful and will devote much time and effort to solving Bertie's personal problems despite not being obliged to do so. Demonstrating his loyalty to Bertie, Jeeves interrupts his vacation twice to come to Bertie's aid (in "The Love That Purifies" and Jeeves in the Offing). He regularly rescues Bertie, usually from an unwanted marriage but also from other threats, such as when he saves Bertie from a hostile swan or when he pulls Bertie out of the way of a taxi. Proud of being a valet, Jeeves is evidently offended when a revolutionary tells him that servants are outdated in "Comrade Bingo". Jeeves often shows sympathy for Bertie and others. He generally manipulates situations for the better and is described as "a kindly man" in Ring for Jeeves. However, he will influence Bertie's decisions to suit his own preferences, as when he causes Bertie to change his mind about living with his nieces in "Bertie Changes His Mind". Jeeves is also stubborn when opposing a new item that Bertie has taken a liking to, such as an alpine hat or purple socks. Usually, Jeeves finds a way to help Bertie with a problem, and Bertie agrees to give away the item that Jeeves disapproves of. Even when Bertie and Jeeves are having a disagreement, Jeeves still shows sympathy, as much as he shows any emotion, when Bertie is in serious trouble. Often wearing "an expression of quiet intelligence combined with a feudal desire to oblige", Jeeves consistently preserves the calm and courteous demeanor of a dutiful valet, and hardly displays any emotions. When he feels discomfort or is being discreet, he assumes an expressionless face which Bertie describes as resembling a "stuffed moose" or "stuffed frog". When very surprised, he will raise his eyebrow a small fraction of an inch, and when he is amused, the corner of his mouth twitches slightly. His composure extends to his voice, which is soft and respectful. When he wishes to speak without having been spoken to or is about to discuss a delicate subject, he makes a low gentle cough "like a very old sheep clearing its throat on a misty mountain top". He may also cough to signify disapproval. Bertie says that Jeeves is persuasive and magnetic. He notes that there is something about Jeeves that seems to soothe and hypnotize, making Jeeves effective at calming down an irate person. He believes that Jeeves could convince a candidate standing for Parliament to vote against herself. There is a poetic side to Jeeves, who recites a great deal of poetry. He is much affected when a parted couple reconciles, and tells Bertie that his heart leaps up when he beholds a rainbow in the sky. Jeeves presents the ideal image of the gentlemanly manservant, being highly competent, dignified, and respectful. He speaks intelligently and correctly, using proper titles for members of the nobility. One of his skills is moving silently and unobtrusively from room to room. According to Bertie, Jeeves noiselessly "floats" and "shimmers"; Bertie once remarks, "Presently I was aware that Jeeves was with me. I hadn't heard him come in, but you often don't with Jeeves. He just streams silently from spot A to spot B, like some gas". In addition to being a proficient valet, Jeeves can serve capably as a butler, and does so on a few occasions. As Bertie says in Stiff Upper Lip, Jeeves, "If the call comes, he can buttle with the best of them." Incredibly knowledgeable about topics ranging from horse racing to history, Jeeves has an encyclopedic knowledge of literature and academic subjects. He frequently quotes from Shakespeare and the romantic poets. Well informed about members of the British aristocracy thanks to the club book of the Junior Ganymede Club, he also seems to have a considerable number of useful connections among various servants. Jeeves uses his knowledge and connections to solve problems inconspicuously. 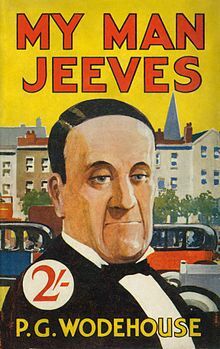 Richard Usborne, a leading scholar of the life and works of Wodehouse, describes Jeeves as a "godlike prime mover" and "master brain who is found to have engineered the apparent coincidence or coincidences". To form his plans, Jeeves often studies "the psychology of the individual" or the personality of one or more people involved in the situation. His mental prowess is attributed to eating fish, according to Bertie Wooster, who credits the phosphorus content in the fish with boosting Jeeves's brain power. Jeeves does not try to argue this claim, though at least once he says he does not eat a lot of fish, and in one conversation, Bertie states that he favours kippers, while Jeeves prefers ham. One of Jeeves's greatest skills is making a special drink of his own invention, a strong beverage which momentarily stuns one's senses but is very effective in curing hangovers. Bertie first hires Jeeves after his hangover is cured by one of Jeeves's special drinks. Not simply a hangover cure, the drink can also give energy to someone who needs it, yet calm down someone who is worked up. Dark in colour, Jeeves's special pick-me-up is composed of Worcester sauce (pronounced "Wooster" sauce), a raw egg, and red pepper according to Jeeves, though Bertie suspects that the drink consists of more than that. Wodehouse mentions other ingredients in a personal letter he wrote late in his life, though the ingredients he stated in the letter are not referred to in the stories. Additionally, Jeeves is capable of typing and writing shorthand. Jeeves has knowledge in more dubious subjects as well. He is well-informed about how to steal paintings and kidnap dogs. He uses a Mickey Finn to incapacitate the unscrupulous Bingley. Capable of violence when the situation calls for it, Jeeves uses a golf club to knock out Sippy Sipperley in "The Inferiority Complex of Old Sippy", and takes down a swan with a raincoat and boathook in "Jeeves and the Impending Doom". He finds it necessary to get Aunt Dahlia to knock out Bertie with a gong stick in "Jeeves Makes an Omelette", though he agrees with Bertie not to use this sort of tactic again. After Jeeves uses a cosh to knock out Constable Dobbs in The Mating Season, an astonished Bertie describes Jeeves as "something that would be gratefully accepted as a muscle guy by any gang on the lookout for new blood". Jeeves often reads intellectual, "improving" books, including the works of Spinoza, Shakespeare, and "Dostoevsky and the great Russians". He also enjoys the works of romance novelist Rosie M. Banks, and regularly reads The Times, which Bertie occasionally borrows to try the crossword puzzle. In "Jeeves in the Springtime", he went dancing in Camberwell, where he was seen by Bertie's friend Bingo Little. Bingo says that he saw Jeeves "swinging a dashed efficient shoe". Once a week, Jeeves takes the afternoon off to play bridge at his club, the Junior Ganymede. One of Jeeves's hobbies is fishing, which he tends to do during his annual summer holiday. Bertie sees him fishing in Joy in the Morning. Appreciating travel in general, Jeeves wants to go on a cruise in two different stories, "The Spot of Art" and The Code of the Woosters. Jeeves claims that travel is educational, though Bertie suspects that Jeeves has a Viking strain and "yearns for the tang of the salt breezes". Jeeves occasionally enjoys gambling, which is the reason he wishes to go to Monte Carlo in "Jeeves and the Yule-tide Spirit". The premise of the Jeeves stories is that the brilliant valet is firmly in control of his rich and unworldly young employer's life. Jeeves becomes Bertie Wooster's guardian and all-purpose problem solver, devising subtle plans to help Bertie and his friends with various problems. In particular, Jeeves extricates Bertie Wooster from engagements to formidable women whom Bertie reluctantly becomes engaged to, Bertie being unwilling to hurt a woman's feelings by turning her down. While Jeeves wants to keep Bertie from a fiancée whom he believes will not make Bertie happy, Jeeves also wants to keep his position, which he feels would be threatened by a wife. Jeeves also provides assistance when Bertie, who refuses to let a pal down, gets drawn into trouble trying to help a friend or a relative he is fond of. Bertie is usually unaware of the extent of Jeeves's machinations until all is revealed at the end of the story. On one occasion, Bertie acknowledges and accepts his role as a pawn in Jeeves's grand plan, though Jeeves objects, saying that he could have accomplished nothing without Bertie's cooperation. For the most part, Bertie and Jeeves are on good terms. Being fond of Bertie, Jeeves considers their connection "pleasant in every respect". Bertie says that he looks on Jeeves as "a sort of guide, philosopher, and friend". At times when Bertie is separated from Jeeves, Bertie is miserable. When Bertie must stay by himself in a hotel in "The Aunt and the Sluggard", he struggles without having Jeeves there to press his clothes and bring him tea, saying "I don't know when I've felt so rotten. Somehow I found myself moving about the room softly, as if there had been a death in the family"; he later cheers himself up by going round the cabarets, though "the frightful loss of Jeeves made any thought of pleasure more or less a mockery". In Thank You, Jeeves, when Jeeves has left Bertie's employment because of their disagreement over a banjolele, Bertie still seeks Jeeves for help and Jeeves comes to his aid. Bertie dislikes when Jeeves goes on his annual holiday, stating, "without this right-hand man at his side Bertram Wooster becomes a mere shadow his former self". Jeeves appreciates the praise that Bertie bestows on him, saying that "Mr. Wooster has always been gratifyingly appreciative of my humble efforts on his behalf". Jeeves has firm ideas about how an English gentleman should dress and behave, and sees it as his duty to ensure that his employer presents himself appropriately. When friction arises between Jeeves and Bertie, it is usually over some new item about which Bertie Wooster is enthusiastic that does not meet with Jeeves's approval, such as bright purple socks, a white mess jacket, or a garish vase. Bertie becomes attached to these less conservative pieces and views Jeeves's opposition to them as "hidebound and reactionary". This type of disagreement results in a period of coolness between them. The conflict is resolved by the end of the story, typically after Jeeves has helped Bertie with his latest problem. Bertie, grateful, agrees to have it Jeeves's way. He does not object if he learns that Jeeves, foreseeing that Bertie would agree to give up the item, has already disposed of it. Bertie considers Jeeves to be a marvel, and wonders why Jeeves is content to work for him, stating, "It beats me sometimes why a man with his genius is satisfied to hang around pressing my clothes and what not". Jeeves has been offered twice the salary Bertie pays him by another gentleman, but still remains with Bertie. Jeeves views Bertie as being friendly but mentally negligible, though his opinion of Bertie's intelligence seems to improve over time. In an early story, he says that Bertie is "an exceedingly pleasant and amiable young gentleman, but not intelligent. By no means intelligent. Mentally he is negligible – quite negligible." Hearing this spurs Bertie to try to solve problems on his own, though he ultimately fails and needs Jeeves's assistance. Nonetheless, Jeeves's view of Bertie's intelligence has apparently softened by the first novel, when Jeeves says that Bertie "is, perhaps, mentally somewhat negligible, but he has a heart of gold". At one point in the ninth novel, Jeeves actually commends Bertie's quick thinking, saying that Bertie's tactic of hiding from an antagonist behind a sofa "showed a resource and swiftness of thought which it would be difficult to overpraise". In the twenty-first century, a "Jeeves" is a generic term for any useful and reliable person, found in dictionaries such as the Oxford English Dictionary or the Encarta World English Dictionary. The Jeeves canon is a series of comedic stories following Bertie Wooster and his valet Jeeves, consisting of 35 short stories and 11 novels. With minor exceptions, the short stories were written and published first (between 1915 and 1930); the novels later (between 1934 and 1974). While the series of stories featuring the character of Jeeves are often referred to as the "Jeeves" stories, the series is also called by other names such as the "Jeeves and Wooster" or "Jeeves and Bertie" stories. Bertie Wooster narrates (in the first person) all the stories but two, "Bertie Changes His Mind" (which Jeeves himself narrates in the first person), and Ring for Jeeves (which features Jeeves but not Bertie Wooster and is written in the third person). The short stories are set primarily in London, where Bertie Wooster has a flat and is a member of the raucous Drones Club, or in New York City, though some short stories are set around various stately homes in the English countryside. The novels all take place at or near an English country house, most commonly Brinkley Court (in four novels) and Totleigh Towers (in two novels). The setting is primarily an idealised version of England during the interwar period, though contemporary references made throughout the stories suggest that to some extent the stories follow a floating timeline. Only Ring for Jeeves mentions World War II. In the other stories, the setting is nearly idyllic, with international conflicts being downplayed or ignored, and illness and injuries causing negligible harm. The stories have a cartoonish aspect, such as when Bertie says of an irritated Aunt Dahlia, "A sudden flame shot through her eyes, singeing my hair". Jeeves and Bertie first appeared in "Extricating Young Gussie", a short story published in the US in September 1915, though it was not seen in the UK until 1916. In the story, Jeeves's character is minor and not fully developed, and Bertie's surname appears to be Mannering-Phipps. The first fully recognisable Jeeves and Wooster story was "Leave It to Jeeves", published in early 1916. As the series progressed, Jeeves assumed the role of Bertie Wooster's co-protagonist. Most of the Jeeves stories were originally published as magazine pieces before being collected into books, although 11 of the short stories were reworked and divided into 18 chapters to make an episodic semi-novel called The Inimitable Jeeves. Other collections, most notably The World of Jeeves, restore these to their original form of 11 distinct stories. “Extricating Young Gussie” – The first appearances of Jeeves and Bertie, originally published 1915-9-18 in the Saturday Evening Post. My Man Jeeves (1919) – Four stories in a book of eight, all four reprinted in the 1925 collection Carry On, Jeeves. The non-Jeeves stories feature Reggie Pepper. “Leave It to Jeeves” was rewritten and reprinted as “The Artistic Career of Corky” in Carry On, Jeeves, originally published 1916-02-05 in the Saturday Evening Post. "The Aunt and the Sluggard", was reprinted in Carry On, Jeeves), originally published 1916-04-22 in the Saturday Evening Post..
"Jeeves and the Unbidden Guest", was reprinted in Carry On, Jeeves), originally published 1916-12-09 in the Saturday Evening Post. "Jeeves and the Hard-boiled Egg", was reprinted in Carry On, Jeeves), originally published 1917-03-03 in the Saturday Evening Post. "The Great Sermon Handicap", originally published 1922-06 in the Strand. "The Purity of the Turf", originally published 1922-07 in the Strand. "The Metropolitan Touch", originally published 1922-09 in the Strand. "The Delayed Exit of Claude and Eustace", originally published 1922-10 in the Strand. “Jeeves Takes Charge” – Recounts the first meeting of Jeeves and Wooster, originally published 1916-11-18 in the Saturday Evening Post. "The Rummy Affair of Old Biffy", originally published 1924. "Without the Option", originally published 1925. “Clustering Round Young Bingo,” originally published 1925-02-21 in the Saturday Evening Post. “Bertie Changes His Mind” – The only story in the canon narrated by Jeeves, originally published 1922-08 in the Strand and Cosmopolitan. "Jeeves and the Impending Doom", originally published 1926. "The Inferiority Complex of Old Sippy", originally published 1926. "Jeeves and the Yule-tide Spirit" (US title: Jeeves and the Yuletide Spirit), originally published 1927. "Jeeves and the Song of Songs", originally published 1929. "Episode of the Dog McIntosh" (US title: Jeeves and the Dog McIntosh), originally published 1929. "The Spot of Art" (US title: Jeeves and the Spot of Art), originally published 1929. "Jeeves and the Kid Clementina", originally published 1930. "The Love That Purifies" (US title: Jeeves and the Love That Purifies), originally published 1929. "Jeeves and the Old School Chum", originally published 1930. "Indian Summer of an Uncle", originally published 1930. "The Ordeal of Young Tuppy" (US title: Tuppy Changes His Mind), originally published 1930. "Jeeves and the Greasy Bird"
The collection The World of Jeeves (first published in 1967, reprinted in 1988) contains all of the Jeeves short stories (with the exception of "Extricating Young Gussie") presented more or less in narrative chronological order, but with some variations from the originals. An efficient method of reading the entire Jeeves canon is to read The World of Jeeves, followed by the eleven novels in order of publication. The novels generally mention characters and events that happened in previous stories. Another way of reading most of the Jeeves canon is read the short story collections The Inimitable Jeeves, Carry On, Jeeves, and Very Good, Jeeves, followed by the novels. While Carry On, Jeeves features some earlier stories, it also includes stories that occur after events in The Inimitable Jeeves, and is best read second. The World of Wooster (30 May 1965 to 17 November 1967, 20 episodes of 30 minutes) was a half-hour comedy series for BBC1, with Dennis Price as Jeeves, and Ian Carmichael as Bertie Wooster. In the 1970s and 1980s, Jeeves and Bertie Wooster were portrayed by various actors in twelve commercials for Croft Original Sherry. One 1973 advertisement featured Jeremy Irons as Bertie Wooster. In the 1981 BBC Two documentary Thank You, P. G. Wodehouse, Jeeves was portrayed by Michael Aldridge and Bertie Wooster was portrayed by Jonathan Cecil. Jeeves and Wooster (22 April 1990 to 20 June 1993, 23 episodes of 50 minutes), a hit ITV series starring double act Fry and Laurie (with Stephen Fry as Jeeves, and Hugh Laurie as Bertie Wooster). In contrast to the 1930s films featuring Arthur Treacher, the scripts for this series by Clive Exton have been praised for their fidelity to Wodehouse's original vision. However, there are some departures from the canon. Most notably, in the episode "The Delayed Arrival", Jeeves wears women's clothing and makeup in order to impersonate the novelist Daphne Dolores Morehead, which he does not do in the original story on which the episode was based, Jeeves and the Feudal Spirit. In 1919, two silent short comedy films, "Making Good with Mother" and "Cutting Out Venus", were released in the US. These shorts were inspired by the Reggie Pepper stories and directed by Lawrence C. Windom. Reggie Pepper, a prototype for Bertie Wooster, was given a manservant named "Jeeves" who was a reformed burglar. The shorts featured Lawrence Grossmith as Reggie Pepper and Charles Coleman as Jeeves. Thank You, Jeeves! (1936) was the first film to feature Jeeves and Bertie, with Arthur Treacher as Jeeves and David Niven as Bertie Wooster. In the film, they meet a girl and help her brother stop two spies trying to get his secret plans. The film has almost nothing to do with the book of that title. Treacher was associated with butler and manservant roles, having played such parts in several previous films, including the Shirley Temple film Curly Top (1935). In this case, however, the script called on him to play the character as unhelpful, pompous and rather unpleasant, with none of the trademark brilliance of the literary Jeeves. Step Lively, Jeeves! (1937) also featured Arthur Treacher as Jeeves. Two swindlers con Jeeves into claiming he has a fortune waiting for him in America, where Jeeves meets some gangsters. Bertie Wooster does not appear, Jeeves is portrayed as a naive bumbler, and the film has nothing to do with any Wodehouse story. Wodehouse was disappointed with the two Treacher films. By Jeeves (2001) was a recorded performance of the musical, released as a video (with UK Martin Jarvis as Jeeves and US John Scherer as Bertie Wooster). It also aired on television. "Leave It To Jeeves" (1940) was an episode of the CBS radio series Forecast. Despite its title, it was not based on the Wodehouse short story originally titled "Leave it to Jeeves". The radio drama featured an original story with Bingo Little. Alan Mowbray portrayed Jeeves and Edward Everett Horton portrayed Bertie Wooster. In the 1955 BBC Light Programme dramatisation of the novel Ring for Jeeves, Deryck Guyler portrayed Jeeves and Ian Carmichael portrayed Bill, Lord Rowcester. In the following 1956 dramatisation of Right Ho, Jeeves, Deryck Guyler again portrayed Jeeves, and Naunton Wayne portrayed Bertie Wooster. Jeeves was a 1958 LP record issued by Caedmon with Terry-Thomas as Bertie Wooster and Roger Livesey as Jeeves. Side one was the story "Indian Summer of an Uncle"; side two was "Jeeves Takes Charge". The album was re-released on Harper Audio in 1989. What Ho! Jeeves (1973 to 1981) was a popular BBC Radio 4 series adapting various Jeeves stories (with Michael Hordern as Jeeves, and Richard Briers as Bertie Wooster). In 1988, David Suchet portrayed Jeeves and Simon Cadell played Bertie Wooster in the BBC Saturday Night Theatre radio adaptation of the novel Right Ho, Jeeves. In 1997, L.A. Theatre Works dramatised The Code of the Woosters, with Martin Jarvis as Jeeves (and Roderick Spode) and Mark Richard as Bertie Wooster. In 1998, the same organisation dramatised Thank You, Jeeves, with Paxton Whitehead as Jeeves and Simon Templeman as Bertie Wooster. Both dramatisations were adapted by Mark Richard, and were recorded before a live audience. In 2006, BBC Radio 4 dramatised The Code of the Woosters for its Classic Serial series, with Andrew Sachs as Jeeves and Marcus Brigstocke as Bertie Wooster. In 2014, Martin Jarvis portrayed Jeeves and Jamie Bamber portrayed Bill, Lord Rowcester, in a radio drama adapting Ring for Jeeves for BBC Radio 4's Classic Serial series. In 2018, Stiff Upper Lip, Jeeves was adapted as a radio drama for BBC Radio 4. Martin Jarvis portrayed Jeeves and James Callis portrayed Bertie Wooster. Come On, Jeeves (opened 1954, still presented from time to time as of 2017[update] under its name or as Ring for Jeeves) was a 1952 play by Guy Bolton and Wodehouse (adapted into the 1953 novel Ring for Jeeves), opened 1954 in Worthing, England (cast unknown), published in 1956. Playwright Margaret Raether has written four plays starring Jeeves and Bertie Wooster, all of which continue to be presented at various theatres in the United States as of 2018: Jeeves Intervenes (premiered 2006), Jeeves in Bloom (2009), Jeeves Takes a Bow (2012), and Jeeves at Sea (2015). Jeeves and Wooster in Perfect Nonsense (2013), based on The Code of the Woosters. Jeeves (22 April 1975 to 24 May 1975, 38 performances), an unsuccessful musical loosely based on Wodehouse, opened in London (with Michael Aldridge as Jeeves, and David Hemmings as Bertie Wooster). Music by Andrew Lloyd Webber, Lyrics & Book by Alan Ayckbourn and based on the novel The Code of The Woosters. By Jeeves (1 May 1996 to 12 February 1997; 28 October 2001 to 30 December 2001, 73 performances), a more successful complete rewrite of the earlier version, opened in London (with Malcolm Sinclair as Jeeves, and Steven Pacey as Bertie Wooster), and premiered in the U.S. in November 1996 (with Richard Kline as Jeeves, and John Scherer as Bertie Wooster). It was produced again in 2001 on Broadway (with Martin Jarvis as Jeeves, and Scherer as Bertie Wooster), with one recorded performance released as a video film and aired on TV. In Alan Moore's comic The League of Extraordinary Gentlemen: Black Dossier (2007), Jeeves appears in the segment "What Ho, Gods of the Abyss?" in which he contacts the League through a cousin in the British Museum to help combat the arrival of a Mi-go to Brinkley Court and Bertie Wooster's Aunt Dahlia's possession by Cthulhu. The Lovecraftian menaces are driven off by a League consisting of Mina Murray, Allan Quatermain, Carnacki, and Orlando. The Japanese manga series Please, Jeeves (2008–2014) adapts many of the Jeeves short stories. It was translated by Tamaki Morimura and illustrated by Bun Katsuta. In the 20 May 1953 issue of Punch, writer Julian Maclaren-Ross wrote a parody of the Jeeves stories titled "Good Lord, Jeeves". In the story, Bertie loses his wealth and needs a job; Jeeves, who has just been elevated to the peerage, hires Bertie as his valet. Wodehouse greatly enjoyed the parody and wrote to Maclaren-Ross saying how much he liked it. In the 1970s and 1980s, Jeeves and Bertie Wooster were featured in a number of full-page magazine print advertisements for Croft Original Sherry. The advertisements each had comedic prose imitating Wodehouse's writing style and a colour illustration similar to the magazine illustrations that originally appeared with many of Wodehouse's stories. Jeeves: A Gentleman's Personal Gentleman (1981), a fictional biography of Jeeves by Northcote Parkinson, attempts to provide background information about him. "Scream for Jeeves" (1990) was written under the pseudonym H.P.C.Wodecraft and published in Crypt of Cthulhu #72. It purports to put Jeeves and Bertie Wooster into the action of Lovecraft's "The Rats in the Walls". Jeeves and the Wedding Bells (2013), a novel authorized by the Wodehouse estate, was written by British novelist Sebastian Faulks, who became the first writer authorized by the Wodehouse estate to produce a new fiction utilizing the Jeeves and Wooster characters. The short story "Greeves and the Evening Star" by Matt Hughes, published in the 2015 anthology Old Venus, is a science fiction parody of Jeeves and Wooster that takes place on the planet Venus. The characters based on Jeeves and Bertie Wooster are renamed Greeves and Bartie Gloster. Jeeves and the King of Clubs (2018), a new novel authorized by the Wodehouse estate, was written by Ben Schott. ^ "Home : Oxford English Dictionary". Oed.com. Retrieved 15 September 2013. ^ a b Cawthorne (2013), p. 169. ^ Wodehouse, P. G. (October 1914). "Creatures of Impulse". Madame Eulalie. Retrieved 21 January 2018. What a treasure Jevons was! What a model of what a gentleman’s servant should be! Existence without Jevons would be unthinkable. ^ Usborne (2003), p. 82. ^ "The most invaluable nugget contained in the book [Wodehouse at the Wicket by P. G. Wodehouse and Murray Hedgcock] traces the origin of the name Jeeves to Percy Jeeves, a Warwickshire professional cricketer known for his impeccable grooming, smart shirts and spotlessly clean flannels. Wodehouse probably saw him take a couple of smooth, effortless catches in a match between Gloucestershire and Warwickshire. The name, the immaculate appearance and silent efficiency stuck and the inimitable manservant appeared first in 1916, just weeks after the original Percy Jeeves died in the war in France." Navtej Sarna (3 June 2012). "Of Lords, aunts and pigs". The Hindu Literary Review. ^ Wodehouse (2008) , Jeeves in the Offing, chapter 2, p. 19. ^ Wodehouse (2008) , Very Good, Jeeves, chapter 5, p. 128. ^ Wodehouse (2008) , The Mating Season, chapter 8, p. 86. ^ Wodehouse (2008) (1971), Much Obliged, Jeeves, chapter 1, p. 10 and chapter 15, p. 161. ^ a b Garrison (1991), pp. 96–98. ^ Wodehouse (2008) (1971), Much Obliged, Jeeves, chapter 12, p. 126. ^ Ring & Jaggard (1999), p. 131. ^ Wodehouse (2008) , Right Ho, Jeeves, chapter 23, p. 288. ^ Cawthorne (2013), pp. 170–173. When asked by Lord Rowcester if he was in the First World War, Jeeves claims he "dabbled in it to a certain extent". ^ Wodehouse (2008) , The Inimitable Jeeves, chapter 4, p. 46. ^ a b Wodehouse (2008) , Carry On, Jeeves, chapter 1, p. 13. ^ Wodehouse (2008) , Carry On, Jeeves, chapter 2, p. 56-57 and chapter 4, p. 93. ^ Wodehouse (2008) , Carry On, Jeeves, chapter 10, p. 268. ^ Wodehouse (2008) , Right Ho, Jeeves, chapter 14, pp. 153–154. ^ Cawthorne (2013), pp. 173–174. ^ Cawthorne (2013), p. 174. ^ Ring & Jaggard (1999), p. 137. ^ Wodehouse (2008) , Jeeves and the Feudal Spirit, chapter 3, pp. 36–37. ^ Usborne (2003), p. 91. ^ Wodehouse (2008) , Jeeves in the Offing, chapter 11, pp. 111–112. ^ Wodehouse (2008) , Much Obliged, Jeeves, chapter 4, p. 38. "'Hullo, Reggie,' he said, and I froze in my chair, stunned by the revelation that Jeeves's first name was Reginald. It had never occurred to me before that he had a first name" (Bertie about Bingley greeting Jeeves). ^ In the 1937 film Step Lively, Jeeves, Jeeves, portrayed by Arthur Treacher, states his first name to be Rupert. However, Wodehouse had nothing to do with the script of that film, and Treacher's Jeeves character is so unlike Wodehouse's Jeeves that the viewer could easily believe him to be a different Jeeves altogether. ^ Wodehouse (1968) , Plum Pie, chapter 1, p. 46. Aunt Dahlia implies that Jeeves is "maturer" than Bertie. ^ Wodeshouse (2008) , Ring for Jeeves, chapter 4, p. 40. ^ Ring & Jaggard (1999), pp. 124–126. ^ Hall (1974), pp. 16 and 19. Jeeves's first appearance was in "Extricating Young Gussie", which was published in 1915 the US. However, multiple Wodehouse reference books say that Jeeves first appeared in 1916, possibly because that is when he first appeared in both the US and the UK. ^ Wodehouse (2008) , Ring for Jeeves, chapter 4, p. 40. ^ Wodehouse (2008) , The Mating Season, chapter 23, pg. 219. ^ Wodehouse (2008) , Much Obliged, Jeeves, chapter 4, pp. 32–34. ^ Wodehouse (2008) , The Inimitable Jeeves, chapter 12, p. 126. ^ Wodehouse (2008) , Ring for Jeeves, chapter 19, p. 211. ^ Wodehouse (2008) , Stiff Upper Lip, Jeeves, chapter 4, p. 33. Bertie says regarding Jeeves, "He and the young master may have had differences about Alpine hats with pink feathers in them, but when he sees the y.m. on the receiving end of the slings and arrows of outrageous fortune, he sinks his dudgeon and comes through with the feudal spirit at its best. So now, instead of being cold and distant and aloof, as a lesser man would have been, he showed the utmost agitation and concern. That is to say, he allowed one eyebrow to rise perhaps an eighth of an inch, which is as far as he ever goes in the way of expressing emotion." ^ Wodehouse (2008) , Thank You, Jeeves, chapter 5, p. 50. ^ Wodehouse (2008) , Right Ho, Jeeves, chapter 9, p. 94. ^ Wodehouse (2008) , Jeeves and the Feudal Spirit, chapter 12, p. 118 and chapter 21, p. 219. ^ Wodehouse (2008) , Aunts Aren't Gentlemen, chapter 5, p. 46, and chapter 20, p. 182. ^ Wodehouse (2008) , Carry On, Jeeves, chapter 1, p. 31. ^ Wodehouse (2008) , Much Obliged, Jeeves, chapter 11, p. 122. ^ Wodehouse (2008) , Stiff Upper Lip, Jeeves, chapter 23, p. 191. ^ Wodehouse (2008) , Right Ho, Jeeves, chapter 22, p. 269. Bertie describes Jeeves: "He is magnetic. There is about him something that seems to soothe and hypnotize. To the best of my knowledge, he has never encountered a charging rhinoceros, but should this contingency occur, I have no doubt that the animal, meeting his eye, would check itself in mid-stride, roll over and lie purring with its legs in the air." ^ Wodehouse (2008) , Much Obliged, Jeeves, chapter 8, p. 84. ^ Wodehouse (2008) , Joy in the Morning, chapter 16, p. 154 and chapter 17, p. 161. Jeeves is probably quoting William Wordsworth's poem "My Heart Leaps Up". ^ Wodehouse (2008) , The Code of the Woosters, chapter 1, p. 1 and chapter 2, p. 28. ^ Wodehouse (2008) , The Code of the Woosters, chapter 6, p. 136. ^ Cawthorne (2013), p. 170. ^ Cawthorne (2013), p. 173. ^ Wodehouse at Work to the End, Richard Usborne 1976. ^ Wodehouse (2008) , Very Good, Jeeves, chapter 4, p. 98. Jeeves says that studying "the psychology of the individual" is essential to solving problems, and that this means studying "the natures and dispositions of the principals in the matter". ^ Wodehouse (2008) , Carry On, Jeeves, chapter 5, p. 137. ^ Wodehouse (2008) , The Mating Season, chapter 8, p. 87. ^ Wodehouse (2008) , Jeeves and the Feudal Spirit, chapter 7, p. 65. "It's a curious thing about those specials of Jeeves's, and one on which many revellers have commented, that while, as I mentioned earlier, they wake the sleeping tiger in you, they also work the other way round. I mean, if the tiger in you isn't sleeping but on the contrary up and doing with a heart for any fate, they lull you in. You come in like a lion, you take your snootful, and you got out like a lamb. Impossible to explain it, of course. One can merely state the facts." ^ Wodehouse (2008) , Right Ho, Jeeves, chapter 5, p. 48. ^ Wodehouse (2011), P. G. Wodehouse: A Life in Letters, p. 541. Wodehouse wrote: "Jeeves's bracer does not contain dynamite as is generally supposed. It consists of lime juice, a lump of sugar, and one teaspoonful of Mulliner's Buck-U-Uppo. This, it will be remembered, is the amount of the Buck-U-Uppo given to elephants in India to enable them to face tigers on tiger hunts with the necessary nonchalance." ^ Wodehouse (2008) , Much Obliged, Jeeves, chapter 1, p. 10, and chapter 16, p. 183. ^ Wodehouse (1993) , A Few Quick Ones, chapter 4, p. 79. Jeeves tells Bertie how to steal a painting with treacle and brown paper, and says that this is "the recognized method in vogue in the burgling industry". ^ Wodehouse (2008) , Very Good, Jeeves, chapter 5, pp. 125–126. Jeeves tells Bertie how to lure a dog using aniseed, and says that it is extensively used in the dog-stealing industry. ^ Wodehouse (2008) , Much Obliged, Jeeves, chapter 11, p. 123. ^ Wodehouse (1993) , A Few Quick Ones, chapter 4, p. 89. ^ Thompson (1992), p. 131. "Certainly Jeeves never uses violence against Bertie, though he does—regretfully—get Aunt Dahlia to knock him out as part of the solution in 'Jeeves Makes an Omelet'." ^ Wodehouse (2008) , The Mating Season, chapter 24, p. 235. ^ Wodehouse (2008) , Much Obliged, Jeeves, chapter 7, p. 72. Bertie says, "'You want me to recommend you a good book? Well, of course, it depends on what you like. Jeeves, for instance, is never happier than when curled up with his Spinoza or his Shakespeare.'" ^ Wodehouse (2008) , Jeeves and the Feudal Spirit, chapter 1, p. 11. "'My personal tastes lie more in the direction of Dostoevsky and the great Russians.'" ^ Wodehouse (2008) , The Inimitable Jeeves, chapter 1, p. 19. ^ Wodehouse (2008) , Jeeves in the Offing, chapter 2, p. 25. ^ Wodehouse (2008) , The Inimitable Jeeves, chapter 1, p. 15. ^ Wodehouse (1968) , Plum Pie, chapter 1, p. 32. ^ Wodehouse (2008) , Joy in the Morning, chapter 20, p. 184. ^ Wodehouse (2008) , The Code of the Woosters, chapter 1, p. 9. ^ Wodehouse (2008) , Carry On, Jeeves, chapter 1, p. 36. In "Jeeves Takes Charge", Bertie fires Jeeves after Jeeves causes Florence to end her engagement to Bertie. Jeeves explains his actions: "'As I am no longer in your employment, sir, I can speak freely without appearing to take a liberty. In my opinion you and Lady Florence were quite unsuitably matched... You would not have been happy, sir!'" ^ Wodehouse (2008) , Carry On, Jeeves, chapter 10, p. 256. Upset that Bertie appears to be contemplating marriage, Jeeves states that, in his experience, "when the wife comes in at the front door the valet of bachelor days goes out at the back". ^ Wodehouse (2008) , Thank You, Jeeves, chapter 22, pp. 259–260. ^ Wodehouse (2008) , Carry On, Jeeves, chapter 10, pp. 256 and 266. ^ Wodehouse (2008) , The Inimitable Jeeves, chapter 1, p. 10. This is a reference to a poem by Alexander Pope. ^ Wodehouse (2008) , Carry On, Jeeves, chapter 5, pp. 125–126 and 130. ^ Wodehouse (2008) , Thank You, Jeeves, chapter 15, p. 173. ^ Wodehouse (2008) , Jeeves and the Feudal Spirit, chapter 1, p. 8. ^ Wodehouse (2008) , Ring for Jeeves, chapter 5, p. 61. ^ Wodehouse (2008) , Right Ho, Jeeves, chapter 1, pp. 20–21. ^ Wodehouse (2008) , Carry On, Jeeves, chapter 2, p. 45. ^ Wodehouse (2008) , Carry On, Jeeves, chapter 4, p. 84. ^ Wodehouse (2008) , The Inimitable Jeeves, chapter 5, p. 55. ^ Wodehouse (2008) , Thank You, Jeeves, chapter 7, p. 82. ^ Wodehouse (2008) , Stiff Upper Lip, Jeeves, chapter 21, p. 178. ^ Ring, Tony (c. 2000). "Jeeves and Wooster March Into The Twenty-first Century". Wodehouse.ru. Retrieved 15 August 2007. The frequency with which the term 'Jeeves' is used without further explanation in the media of today, and its inclusion as a generic term in the Oxford English Dictionary, suggests that P G Wodehouse's Jeeves, together with his principal employer Bertie Wooster, remain the most popular of his many enduring characters. ^ Thompson (1992). "Dozens of references to contemporary events and personalities give the series its second kind of time, with the world changing around the unaging characters." ^ Wodehouse (2008) , Right Ho, Jeeves, chapter 11, p. 128. ^ The Russian Wodehouse Society. "Bibliography of short stories". Retrieved 8 March 2017. ^ "P G Wodehouse's The World of Wooster". British Film Institute. Retrieved 5 December 2010. ^ Haslam, Melanie (1990). "Croft Original Sherry Commercial: [Jeeves and Wooster]". WARC. Retrieved 13 February 2013. ^ "Croft Original 'One Instinctively Knows When Something Is Right'". HAT Ads. History of Advertising Trust. Retrieved 13 February 2013. ^ "Thank You, P.G.Wodehouse (1981)". BFI. British Film Institute. 2018. Retrieved 20 March 2018. ^ "Thank You, P. G. Wodehouse". BBC Genome. BBC. 2018. Retrieved 20 March 2018. ^ Taves (2006), pp. 16 and 150. ^ Taves (2006), pp. 74–81. ^ Taves (2006), p. 98. ^ "Radio Theatre: Ring for Jeeves". BBC Genome. BBC. Retrieved 25 February 2018. ^ "Three Star Bill Drama: Naunton Wayne with Deryck Guyler and Richard Wattis in ' Right Ho, Jeeves'". BBC Genome. BBC. Retrieved 25 February 2018. ^ Ross 2002, pp. 44-45. ^ "Saturday-Night Theatre: Right Ho, Jeeves". BBC Genome. BBC. Retrieved 21 January 2018. ^ "The Code of the Woosters". LATW. L.A. Theatre Works. 2017. Retrieved 25 February 2018. ^ "Thank You, Jeeves!". LATW. L.A. Theatre Works. 2017. Retrieved 25 February 2018. ^ "Classic Serial: Ring for Jeeves". BBC Radio 4. BBC. 2018. Retrieved 25 February 2018. ^ "Stiff Upper Lip, Jeeves". BBC Radio 4. BBC. 2018. Retrieved 22 April 2018. ^ "Margaret Raether". Playscripts. 2018. Retrieved 8 April 2018. ^ Wodehouse (2011), P. G. Wodehouse: A Life in Letters, pp. 457–460. For the parody, see Maclaren-Ross, "Good Lord, Jeeves", Punch, 20 May 1953, Vol. CCXXIV, No. 5876, pp. 592–593. ^ Two examples appear in the 7 December and 14 December 1977 issues of the UK magazine Punch, each with an illustration by Brian Hughes. ^ Shippey, Tom (13 March 2015). "Science Fiction: The Lost World". The Wall Street Journal. New York. Retrieved 2 April 2018. Cawthorne, Nigel (2013). A Brief Guide to Jeeves and Wooster. London: Constable & Robinson. ISBN 978-1-78033-824-8. Garrison, Daniel H. (1991) . Who's Who in Wodehouse (Revised ed.). New York: Constable & Robinson. ISBN 1-55882-087-6. Hall, Robert A., Jr. (1974). The Comic Style of P. G. Wodehouse. Hamden: Archon Books. ISBN 0-208-01409-8. Kuzmenko, Michel (The Russian Wodehouse Society) (22 March 2007). "Wodehouse books". Bibliography. Retrieved 15 August 2007. Reggie (16 March 2007). "Wodehouse Who's Who: Jeeves". Blandings, a Companion to the Works of P. G. Wodehouse. Archived from the original on 15 August 2007. Ring, Tony; Jaggard, Geoffrey (1999). Wodehouse in Woostershire. Chippenham: Porpoise Books. ISBN 1-870304-19-5. Ross, Robert (2002). The Complete Terry-Thomas. London: Reynolds & Hearn. ISBN 978-1-903111-29-1. Taves, Brian (2006). P. G. Wodehouse and Hollywood: Screenwriting, Satires and Adaptations. London: McFarland & Company. ISBN 978-0-7864-2288-3. Thompson, Kristin (1992). Wooster Proposes, Jeeves Disposes or Le Mot Juste. New York: James H. Heineman, Inc. p. 343. ISBN 0-87008-139-X. Usborne, Richard (2003). Plum Sauce: A P. G. Wodehouse Companion. New York: The Overlook Press. ISBN 1-58567-441-9. Wodehouse, P. G. (2008) . The Inimitable Jeeves (Reprinted ed.). Arrow Books. ISBN 978-0-09-951368-1. Wodehouse, P. G. (2008) . Carry On, Jeeves (Reprinted ed.). London: Arrow Books. ISBN 978-0-09-951369-8. Wodehouse, P. G. (2008) . Very Good, Jeeves (Reprinted ed.). Arrow Books. ISBN 978-0-09-951372-8. Wodehouse, P. G. (2008) . Thank You, Jeeves (Reprinted ed.). Arrow Books. ISBN 978-0-09-951373-5. Wodehouse, P. G. (2008) . Right Ho, Jeeves (Reprinted ed.). London: Arrow Books. ISBN 978-0-09-951374-2. Wodehouse, P. G. (2008) . The Code of the Woosters (Reprinted ed.). London: Arrow Books. ISBN 978-0-09-951375-9. Wodehouse, P. G. (2008) . Joy in the Morning (Reprinted ed.). London: Arrow Books. ISBN 978-0-09-951376-6. Wodehouse, P. G. (2008) . The Mating Season (Reprinted ed.). Arrow Books. ISBN 978-0-09-951377-3. Wodehouse, P. G. (2008) . Ring for Jeeves (Reprinted ed.). Arrow Books. ISBN 978-0-09-951392-6. Wodehouse, P. G. (2008) . Jeeves and the Feudal Spirit (Reprinted ed.). London: Arrow Books. ISBN 978-1-78033-824-8. Wodehouse, P. G. (1993) . A Few Quick Ones (Reprinted ed.). London: The Guernsey Press Co. Ltd. ISBN 0-09-981950-3. Wodehouse, P. G. (2008) . Jeeves in the Offing (Reprinted ed.). London: Arrow Books. ISBN 978-0-09-951394-0. Wodehouse, P. G. (2008) . Stiff Upper Lip, Jeeves (Reprinted ed.). Arrow Books. ISBN 978-0-09-951395-7. Wodehouse, P. G. (1968) . Plum Pie (Reprinted ed.). London: Pan Books Ltd. ISBN 978-0-330-02203-3. Wodehouse, P. G. (2008) . Much Obliged, Jeeves (Reprinted ed.). London: Arrow Books. ISBN 978-0-09-951396-4. Wodehouse, P. G. (2008) . Aunts Aren't Gentlemen (Reprinted ed.). London: Arrow Books. ISBN 978-0-09-951397-1. Wodehouse, P. G. (2013). Ratcliffe, Sophie (ed.). P. G. Wodehouse: A Life in Letters. London: W. W. Norton & Company. ISBN 978-0-7864-2288-3. Parkinson, C. Northcote (1981) . Jeeves: A Gentleman's Personal Gentleman (U.S. ed.). New York: St. Martin's Press. ISBN 0-312-44144-4. Mock biography of Jeeves.